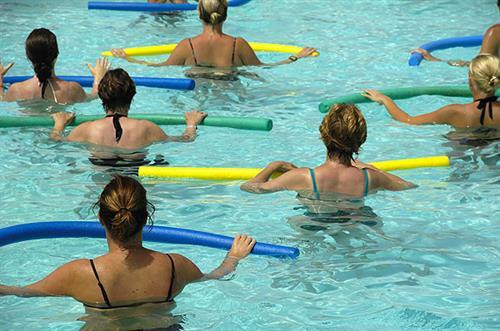 Aqua Yoga- Exercise has never been so fun! 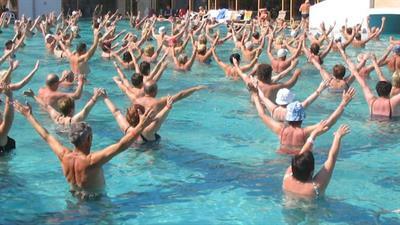 AquaYoga is a fun, friendly introduction to yoga. With easy stretches and no weight bearing exercises, it's good for all levels of fitness. 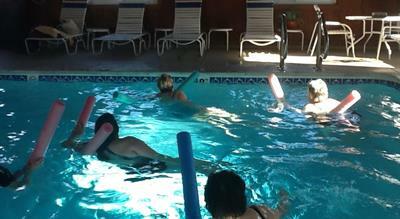 We wrestle with pool noodles and have fun (and gossip) for the hour. You'll make friends and get some exercise at the same time! This class takes place all year long- in the outdoors during the summer, and indoors the rest of the year. 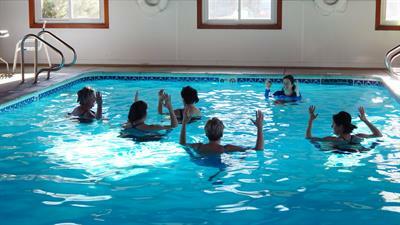 Hope to see you in the pool! Summer: Ogunquit Resort Motel: 719 Main Street, park in the Ogunquit mall lot. Off Season: Elmwood Resort Motel: 1351 Post Road in Wells, park in rear.